I got to know about Pebble when it became a super hit on Kickstarter. I don’t think I was on kickstarter then. It looked great on the paper but then investing $99 without knowing the outcome seemed like an expensive affair for me. But then I have followed them ever since. They have got really positive news since the beginning. Now I know why! This year when I was looking for a practical smart watch, my requirements were very simple. Pebble was a perfect match. Fast and Reliable – Runs FreeRTOS and really fast. Usable – No touch screen. I don’t miss it. UI is simple, black & white slides based, Screen is big and clear, Hardware buttons work really well. Specially when you are involved in something else, which is almost all the time. Also Pebble was reduced $99 from its $125 launch price. So I got it. I really like watches. I have quite a few of them. But I never used to wear one on a regular day. Now I do. I have been wearing pebble since the day I got. I wear it almost all the time. I am very happy with it. If you are looking for an affordable, hackable smart watch, pebble is a good choice. Below I have listed some of the apps that makes pebble really useful. If you think I should try any other app, please comment. I am ready to experiment. 7-Min Workout Personal guide through the high-intensity 7 minute workout as featured in the New York Times. Google Authenticator two-factor authentication codes right from your Pebble! Perfect for use with the most popular two-factor authentication systems, including GMail, Dropbox, LastPass, Amazon Web Services, and many more. There are quite a few other options here, like pebble-authenticator, PebbleAuth, pTOTP. Last two have the source code availabe on GitHub. Pebblets: Multi Function Tool – A collection of common tools for your Pebble Smartwatch all contained within one app.Available on the Pebble App Store. GoPro by Pebble (Free): Control your GoPro HERO from your watch. Morpheuz (Free): A sleep tracking app, that also has a Smart Alarm, to try and wake you at just the right time, plus a Power Nap function. Music control app, Alarms are built into it. I use the same. Pushover makes it easy to get real-time notifications on your Android device (and hence Pebble), iPhone, iPad, and Desktop. Specially useful if you connect it to IFFT. AeroTracker Pro is a free watch app for Pebble that lets you track your movements using your Android phones GPS. AeroTrackerPro has full Pebble support. You can view everything you need on your wrist. Time, average or current speed/pace, split time, split speed/pace, elevation or heart rate. Everything is configurable from the Pebble app, even when you’re already in the middle of your run. 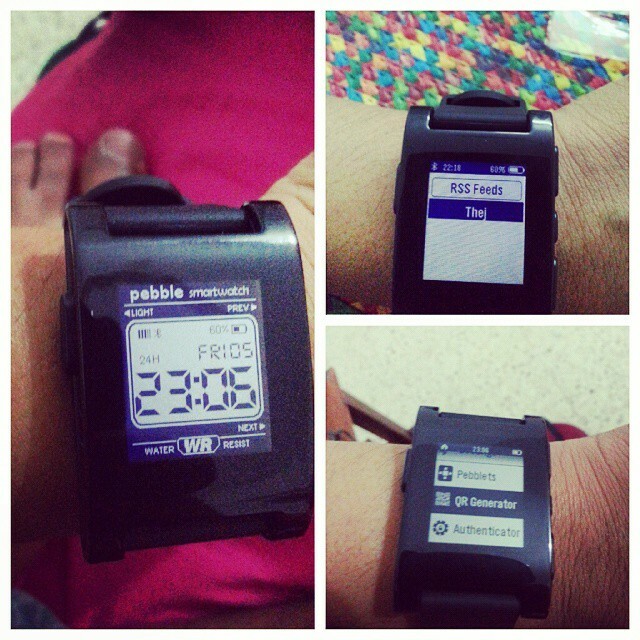 PebbleBike is a GPS cycle computer for your Pebble smart watch. It uses your phone’s GPS to send speed, distance and altitude data to your Pebble. You can also see your track directly on your Pebble.Pebble Bike has a Live Tracking function that sends your position every 30 seconds to the internet. Catapult for Pebble is an Android application that makes it super simple to launch apps and watchfaces on your Pebble using your phone. 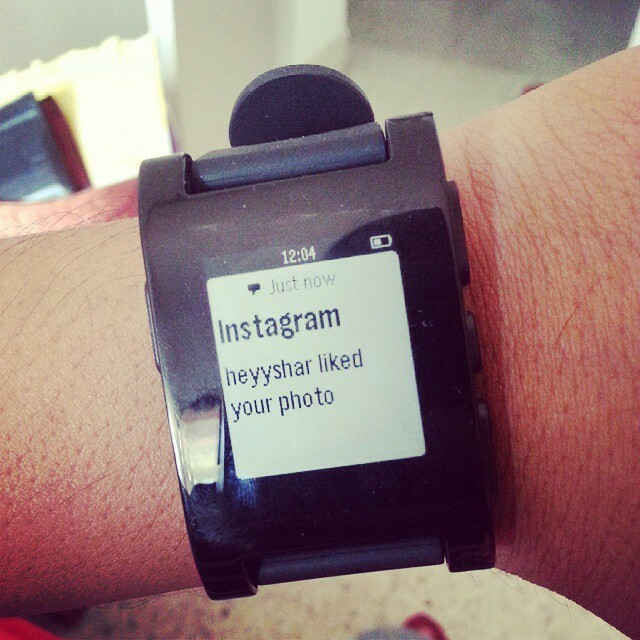 Pebble Connect provides an API and an IFTTT channel to push notifications to your Pebble smart watch. On11 is an activity tracker app that can monitor your physical activity 24 × 7. It tells you how much time you spent on sitting, walking, jogging, and sleeping. It also works as a pedometer just like normal activity trackers do. This watchapp displays data from your NetAtmo® modules. Glympse is an ETA & location sharing app that let’s you safely share your location with someone in real time or see where some one else is. Android app and pebble app. Music Boss For Pebble From selecting the right media app to media and volume control, Music Boss has you covered. Take a couple of minutes to get a sense of how Music Boss can enhance your Pebble Music Experience on Android.